Television in Tenerife. If you're originally from the UK and you've upped sticks and moved to Tenerife to live, I bet you didn't think much about the TV programmes you'll be able to watch in your new home country, did you? Here's a low-down of what TV is available and how you can go about getting it. Some methods are not strictly legal, others are fully legal. It's up to you to decide which to choose. May I say, from the outset, that obtaining Sky TV programmes outside the UK is actually illegal - but, judging from the number of bars with big screens showing Sky Sports, this problem can obviously be surmounted. To receive BBC 1 & 2, ITV 1, Channel 4 and Five, you need a large dish of at least three metres diameter. Certain companies in Tenerife provide you with a full system, including the dish, the digibox and a sky card. This is where it gets a bit underhand. You have to find a friend or relative in the UK who hasn't already got Sky TV and get them to register your card in their name. Thereafter, as far as BSkyB knows, the system is based at your accomplice's house and they'll start sending their monthly magazine there. Your partner in crime will also be liable for paying the monthly fee, for which you'll have to reimburse them. You'll then be able to receive a limited number of Sky channels. There are a number of companies who offer a package of UK TV programmes that avoids your having to go through all the rigmarole of the "accomplice with the Sky Card in the UK" scenario. Apparently, they intercept the satellite signal and re-transmit it. This, too, is not strictly legal. But I'll tell you about it anyway. TeleClub Canarias - Offering BBC1 & 2, ITV1 and Channel 4, the package price includes a "licence fee" which, apparently, covers copyright issues. Premier League football is also included. In March, 2009, the French satellite television company, Canal+, which is the official satellite broadcaster in Spain, issued a denuncia, or "denouncement" against British Sky Broadcasting, or "BSkyB", regarding illegal use of Sky viewing cards. This was mainly due to Sky broadcasting top football matches, some from the English Premier Division, which were much cheaper for the viewer than Canal+'s, which were all quite expensive pay-per-view. As a result, they were losing a great deal of revenue. The use of Sky cards in Tenerife has always been an infringement of copyright and specifically forbidden by Sky, but this time, with the complaint from Canal+, the police finally saw fit to act on it. Throughout the middle of 2009, police officers descended on random bars in Tenerife and seized any Sky cards and receivers they could find. A bit of a panic ensued from UK ex-pat residents, but these draconian measures didn't seem to extend to private homes. However, some holiday complexes with communal Sky TV were affected, as were the companies listed immediately above this notice. If you'd brought a card from the UK yourself, you were immune from this purge and could continue viewing, as long as BSkyB were kept in the dark about your location. If they found out, they would deactivate your card immediately. TELEVISION IN TENERIFE: THE LEGAL OPTION? Hopefully, the following information is correct. Everything about receiving British TV in Tenerife seems surrounded by controversy! This, in the UK, is known as "Freeview" and you have to buy the appropriate box to receive the signal, via an ordinary antenna. Unfortunately, any Freeview signals are too weak to reach Tenerife, so your basic UK channels, such as BBC 1, 2, 3, 4, ITV 1, 2, 3, 4, Channel 4 and Five, cannot be accessed by this method. In Tenerife, the equivalent of this service is TDT. Again, you have to buy the required box to receive the channels, but there are loads of them. Some have the facility to switch the language to English. Visit www.tdt1.com/canales-arona/ to get an idea of the channels on offer. As I imagine that most expats are not particularly interested in watching Spanish television, this is not really the best option and you could perhaps consider the next one. These are also free channels, the difference being that they are encrypted. Known as "FreeSat", there is one version that is a joint venture between BBC and ITV, for which you need their FreeSat box. 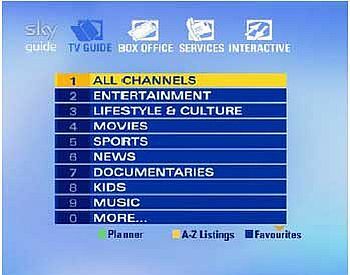 FreeSat From Sky is another option, where you have to purchase a FreeSat From Sky viewing card (£25), but have then to provide a UK address (like the Sky information above). The FreeSat system provides over 140 channels, the FreeSat From Sky over 240. Unfortunately, neither provide much in the way of sport - so, read on! TELEVISION IN TENERIFE: GO NATIVE! A lot of ex-pat Brits used this fully legal, French-owned satellite company a few years ago, because they featured BBC Prime amongst their channels. However, back in 2007, they dropped this channel and, as a result, many British viewers terminated their subscriptions. These days, CanalPlus features a good selection of programmes from the quality American network HBO and has a language selector for many of its other programmes, so it is a viable, legal alternative to Sky. I'm well aware that a lot of you want your sport - specifically, football - on your TV. This is where CanalPlus is a winner. If you purchase their CanalPlus Liga package, you'll have access to matches from the UK football league, plus a comprehensive selection of other countries' leagues. It's worth mentioning at this point the option of using ADMC Sports. The letters stand for Abu Dhabi Media Company, who have secured the rights to broadcast all UK Premier League matches - live! They come with English commentary, too, from the likes of John Dykes (formerly with ESPN Star Sports) and former Match of the Day presenter, Mark Pougatch. You need the appropriate receiver box and card and the only company in Tenerife that can supply these for you is Premier Satellite Systems (link provided above). 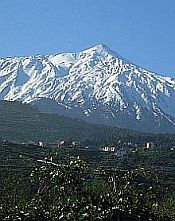 If you have a computer in Tenerife with an Internet ADSL connection, there are several ways in which it can be used to receive UK television programmes. These mysterious three letters, for the benefit of the uninitiated, stand for Virtual Private Network and using this system in Tenerife makes your computer seem as if it's based in the UK. The science behind it is too complicated to go into here, but the advantages are that, if certain streaming services in the UK think that your computer is there too, then you'll have access to them. Therefore, a VPN will result in your ability to access BBC iPlayer, ITV player, etc. You have to buy one, though. It can cost between 60 and 140 euros. This is a device that intercepts video signals received on a Freeview box, Skybox, or any other brand of box and feeds them to a computer via the Internet. The Slingbox has to be based in the UK and the connection set up with a computer there. It must have broadband and a router. Once everything has been set up, you can connect to it from your computer in Tenerife and watch live UK TV to your heart's content. A Slingbox can be purchased from an outlet such as PC World for around £90.